It looks like I’m on a roll. Two days in a row. This is good! 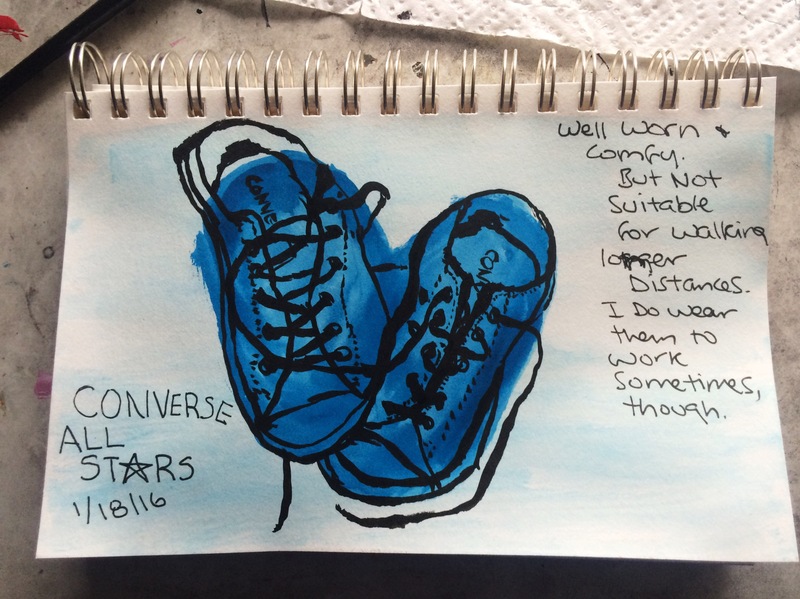 Here are my shoes, using the same medium as yesterday’s sketch: watercolor, gouache, & brush pen. Micron pen for the words. I love the style of this! Brilliant!